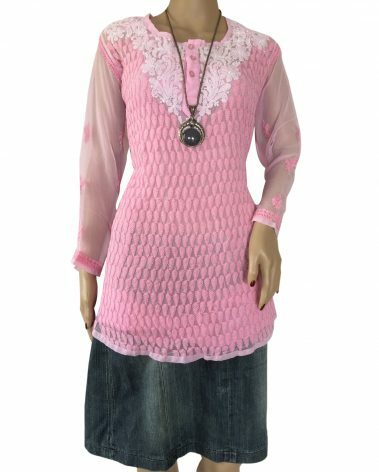 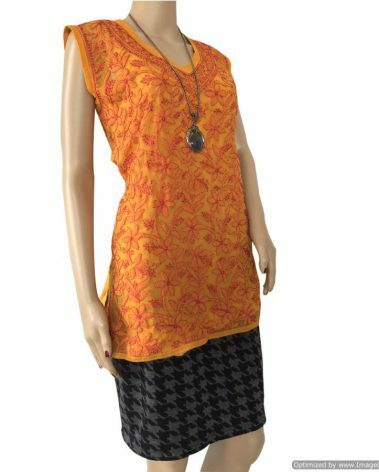 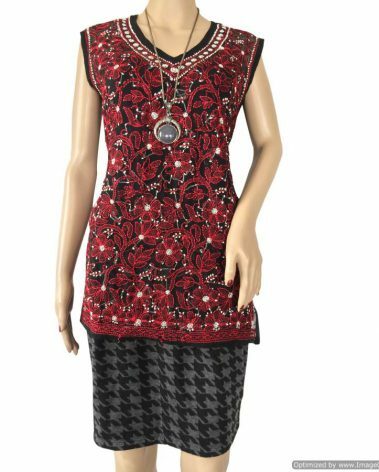 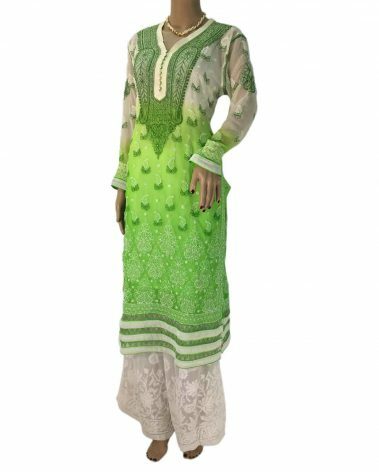 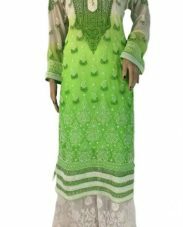 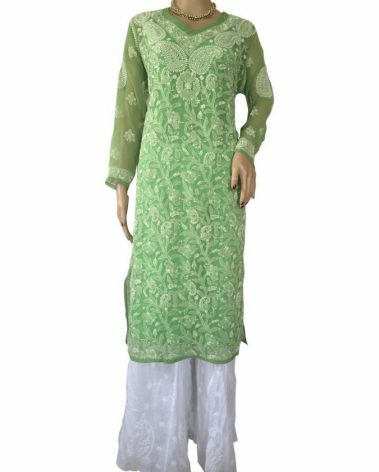 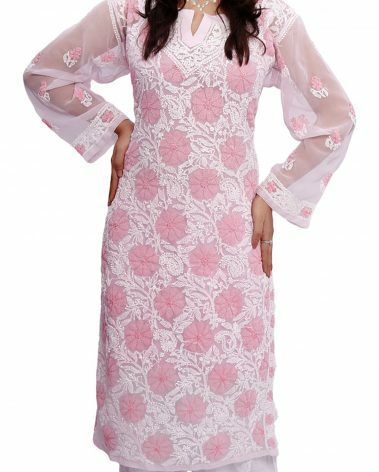 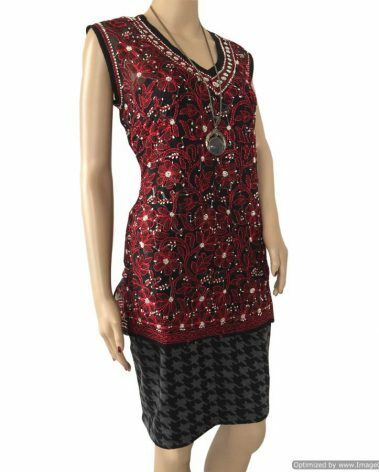 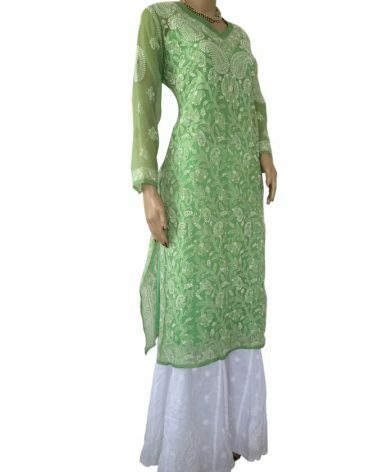 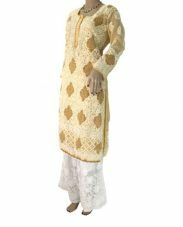 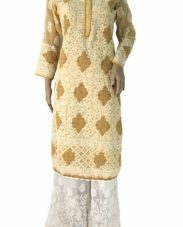 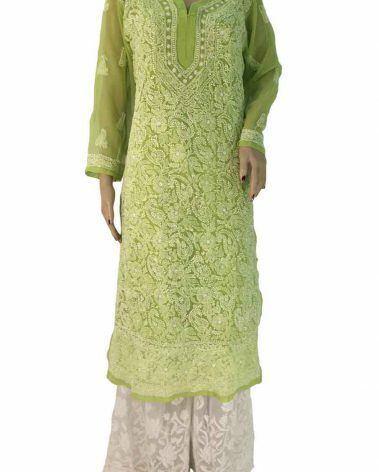 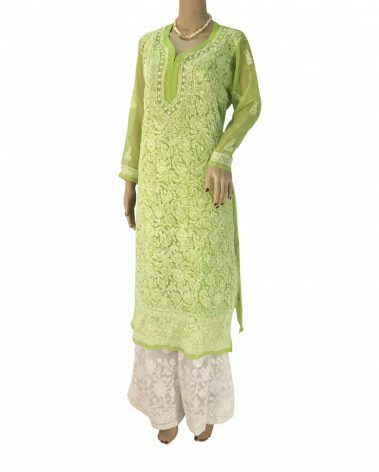 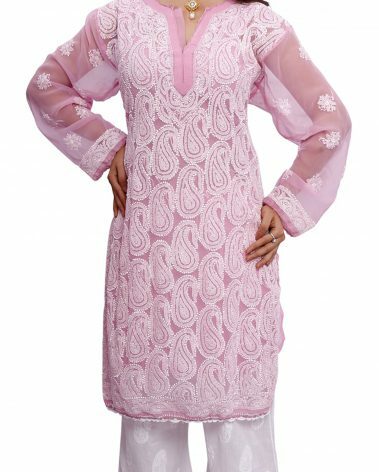 Traditional south cotton black kurta with fusion of chikankari in multi-color coupled with high collar makes it an apt formal wear kurta. 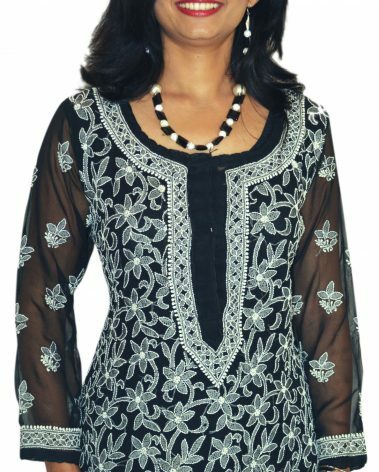 Classy Black Cotton Kurta with hand embroidery. 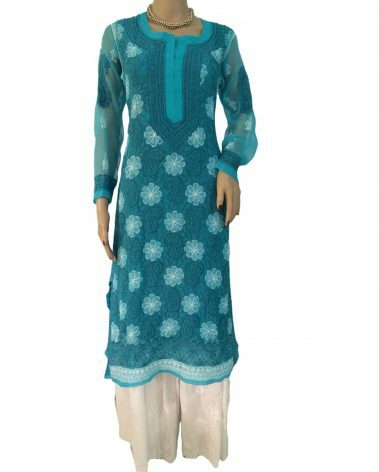 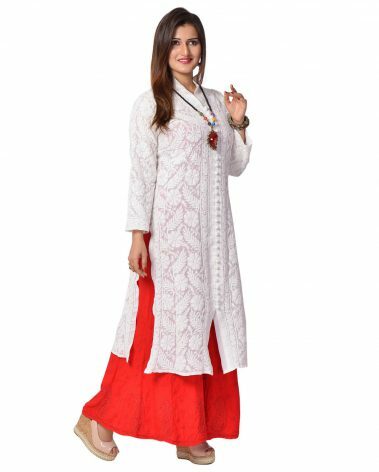 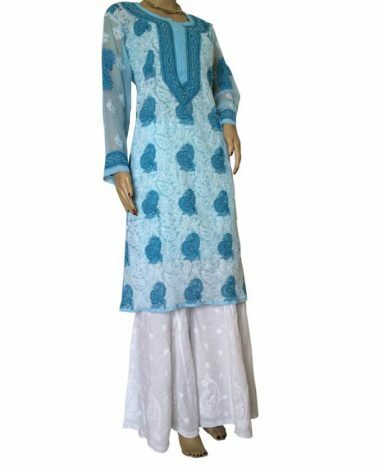 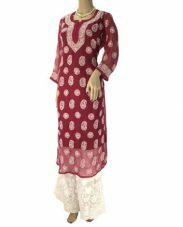 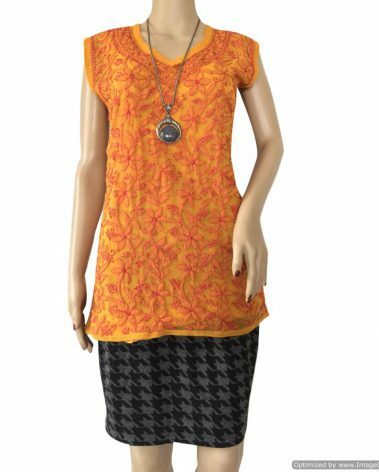 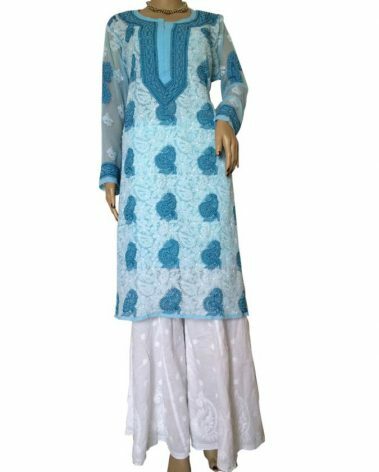 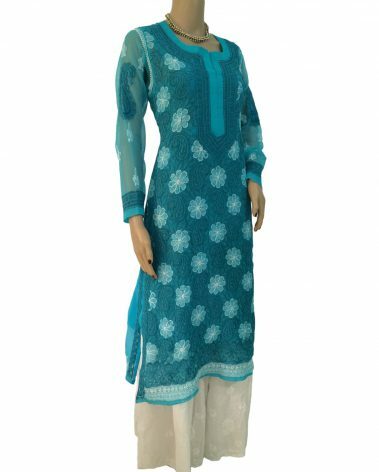 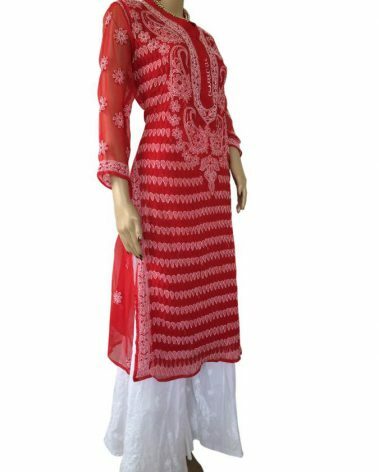 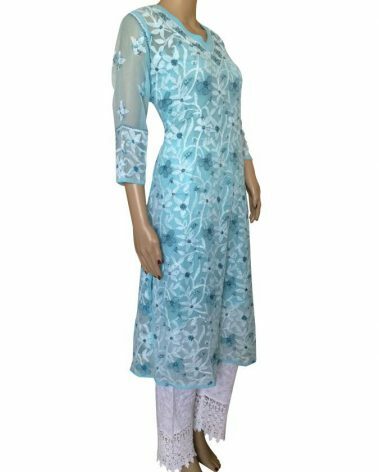 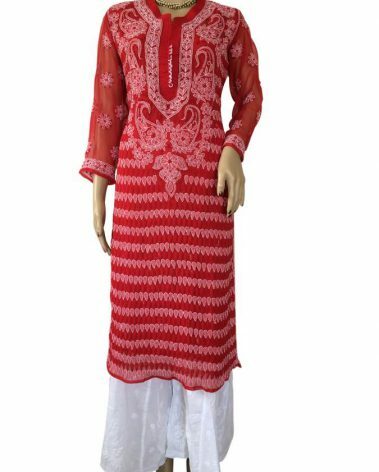 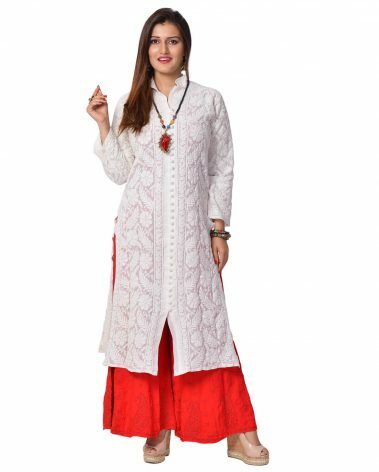 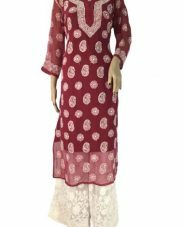 An ideal work or regular wear kurta that does not need a slip.